Ekornes Stressless Memphis Royalin Amarone Leather Recliner and Ottoman. Stressless Memphis Royalin Amarone Leather - The Stressless Premium Royalin Amarone Leather is the most exclusive leather line offered by Ekornes®. 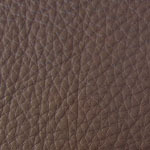 It has natural pebbled grain and structure with naturally occurring marks. It is rich and vivid in color and embodies an amazing organic experience. Only a very light surface protection is applied to the Stressless Memphis Royalin Amarone Leather and will require certain protection from wear and tear since it can absorb moisture easily and is more vulnerable to heat, spills, etc. 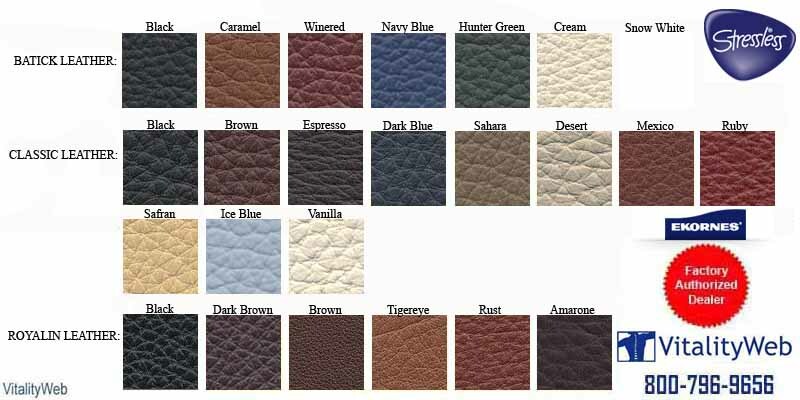 All Stressless Ekornes® Royalin Amarone Leathers are sourced from cattle tanneries worldwide. During the manufacturing process, the hides are deep dyed. For variation, basic dye colors and varying dye colors (with visible two-toned effects) are offered. Inspection is in accordance with international norms for quality and determination. Manufactured according to existing laws and guidelines for human useage and at all times, the Ekornes® company cooperates with international institutions regarding the safety, content and use of chemicals as well as other substances relating to health and environment of its leathers.